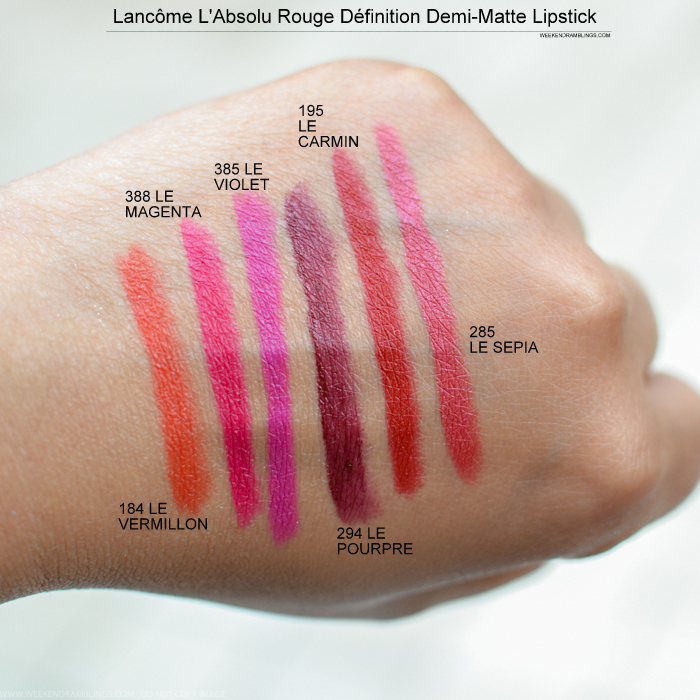 I have mixed feelings about the Lancome L'Absolu Demi-matte lipsticks. 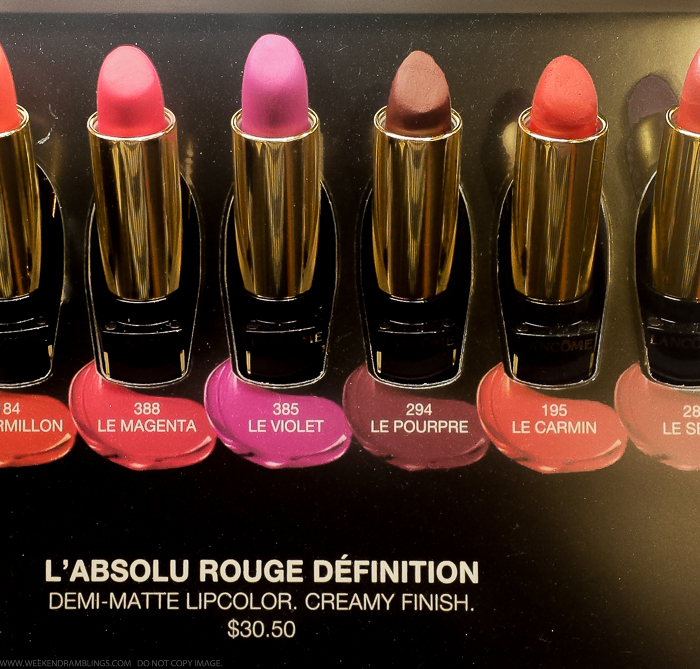 I like how opaque and color saturated these lipsticks are, and the formula does seem quite lip friendly. There aren't very many colors in this range, though, and I amn't too fond of the red-orange-brown family, but that's my personal preference, and I am sure there will be lots of people these colors would look amazing on. Perhaps Lancome will come out with more shades in this range later on. For now, I liked the pink-violet shades - Le Magenta and Le Violet. This is wonderful. I've been looking for swatches of these Lippys! I agree; not much color selection, but maybe they will launch more colors? I would love to see some nudes/beiges/rosey shades. The Magenta and Sepia look very nice. Glad the swatches helped! :) I do hope they broaden the selection over time...Lancome has been launching some really good products recently.